Security is an important and challenging aspect that needs to be considered at an early stage during software development. Traditional software development methodologies do not deal with security issues and so there is no structured guidance for security design and development; security is usually an afterthought activity. This paper discusses the integration of XP with security activities based on the CLASP (Comprehensive Lightweight Application Security Process) methodology. This integration will help developers using XP develop secure software by applying security measures in all phases and activities, thereby minimizing the security vulnerabilities exploited by attackers. Software attacks are possible because software systems contain vulnerabilities in architecture, design, and implementation. According to the Computer Emergency Response Team (CERT), the number of vulnerabilities continues to increase. The total number of vulnerabilities cataloged in the year 2004 was 3,780 while in 2006 the approximate number was 8,064, which indicates an increase of 113% (CERT, 2011). According to another source (NVD, 2011), the National Vulnerability Database, the number of vulnerabilities reported in 2006 was 6,608 while in 2009 the number was 7,171. Security is not a feature that can just be added on to a software system. This is the reason why more and more organizations are making software security a priority. Due to the increasing frequency and sophistication of malicious attacks against software systems, mainstream software development methodologies must include security as one of the main objectives. Security should be integrated into all activities of a software development methodology. 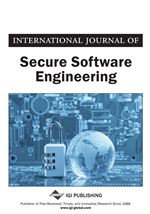 A number of researchers have recently recognized the need for security to be integrated into the Software Development Lifecycle (SDLC) (Aderemi & Seok-Won, 2010; DHS, 2011; Ge et al., 2006; Jones & Rastogi, 2004; Nicolaysen et al., 2010). The importance of building secure software has also been recognized by many international standardization and governments agencies such as ISO 27001 (International Organization for Standardization, 2005), NIST (Kissel et al., 2008), the Department of Homeland Security (DHS, 2011), among others. Agile processes are of increasing interest in software development, most significantly in web applications. IT projects may fail due to many reasons. One of the root causes for IT projects failure is related to requirements. Software projects developed by programmers who start programming without detailed understanding of requirements (including security requirements) and design can create chaos and cause the failure of the project. eXtreme Programming (XP) is an agile and flexible software development methodology that has smaller iterations and accepts changing requirements (XP, 2011). It is the most documented and widely used agile software development methodology. As is the case with all agile software development methodologies, XP does not provide support for security in a systematic way. A study carried out by Nicolaysen et al. (2010), focusing on how information security is addressed in an agile context, has indicated that most agile software development organizations do not use any particular methodology to achieve security goals. According to the study, security issues must be addressed adequately during an agile software development process. The reasons for neglecting security issues in software development efforts are well-explained in Jones and Rastogo (2004). The main objective of this research work is to fill in this gap by integrating security into XP in a systematic way while preserving its agility. The contribution of this research work is not the development of a new method or process that addresses security concerns. Rather, the research investigates the XP development method and the structured and comprehensive CLASP security method in order to integrate them to address the development of secure software.